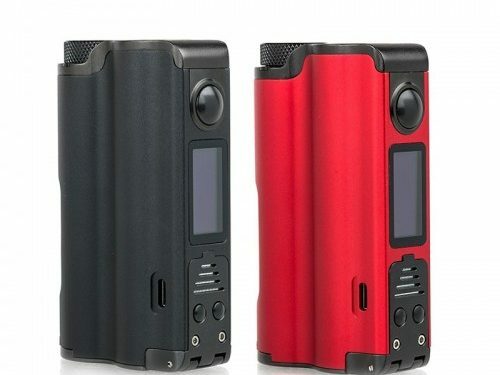 Not long ago when I heard the GeekVape have launched their latest Aegis series vape kit, I was so excited and wanted to try it ASAP because I’m a big fan of Aegis series. After 2 weeks, I received the package from Vapesourcing online vape shop, so today I will share my experience about using the Aegis Mini Kit. The Aegis Mini mod’s aesthetics are very great due to the use of many different durable materials, making the device look as solid as it is. The materials used include LSR Silicone, Die-Cast Aluminium, Die-Cast Zinc Alloy, Leather and Stainless Steel. The front has a rectangular fire button at the top, at the bottom we have the – and + buttons that are also rectangular but smaller, between the + and – buttons and fire button we have a large screen. In ergonomic, the Aegis Mini is superb, with the cushioned leather and position of the fire button it is very comfortable to use. The build quality is as good as it gets and the Mini seems just as solid and durable as the original Aegis and the Legend. 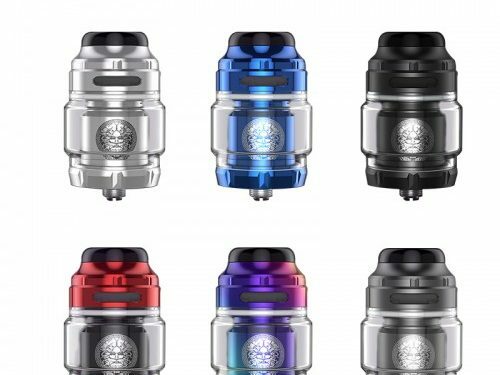 The included Cerberus Sub ohm tank is quite a short sub ohm tank which has a maximum capacity of 5.5ml with the bulb glass, there is also a 4ml straight glass. 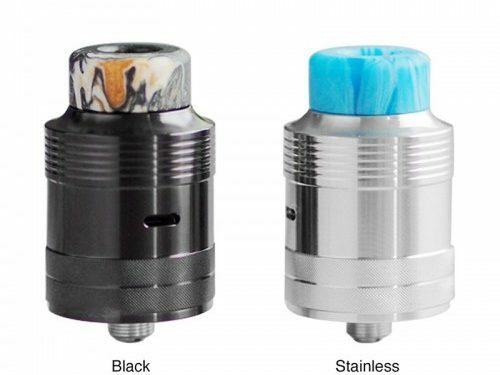 The airflow control is duel cyclops with stopper and the filling method is top-filling, sitting on top is a low profile 810 drip tip with a wide bore (you can fit your own 810 if you wish). The Cerberus comes with 2 mesh coils which are justifiable all the rage at the moment, they are the Super Mesh X2 kanthal mesh coils with a resistance of 0.3ohm. The coils are rated at between 30w and 45w with the best being between 30W and 40W. Made from many different durable materials including army grade silicone, it will take some knocks. The device is IP67 waterproof which means it will withstand being immersed in water up to 1 meter in depth for up to 30 mins. Its USB port is kept sealed with a silicone bung, then there’s the battery venting. About the performance of the Aegis Mini Kit. It fires instantly and performed great with all the various tanks I tried, the fire button is very clicky and the overall feeling of the mod in the hand is superb. The flavor from the supplied coils with the Cerberus was what you would expect from a mesh coil, but I must say I found 40W perfect for the coil which was quite a cool vape which won’t suit those that like a warm vape.